Language is a medium with its own set of culture and entertainment. 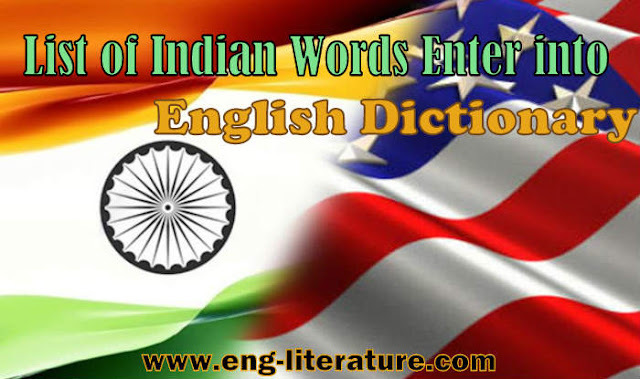 English language has been showing its flexibility which is one of the main reasons why English has been regarded as an International Language today. Born in Germania it has constantly been acquiring new words from other languages and inserting them in the corpus of the language. The culture of India is one of the oldest cultures in the world and yet it is so diverse as to be impossible to pin down and define. The South, North, and Northeast have their own distinct cultures and almost every state has carved out its own cultural niche. In spite of the diversity, it's bound by a common thread as one civilization perhaps because of its shared history of colonization and the following struggle for independence from the British. Gathering of friends and relatives for mere gossiping. अहिंसा ahimsā (Sanskrit)Gandhiji popularised this word. A large and brightly coloured handkerchief; often used as a neckerchief. A thin Indian cigarette wrapped in kendu leaf. Seat for newly married bride-groom as per hindu custom. A sauce in the cuisines of the Indian sub-continent. A flowering plant of iris family. A kind of Indian food of dried pulse. A sporting ground where different contests are arranged to test skill. A lightweight cotton cloth with a smooth and slightly stiff finish. Where this kind of textile is originally made of. Full-length trousers, worn for horseback riding, that are close-fitting below the knee and have reinforced patches on the inside of the leg. Named after Jodhpur, an important place of Rajasthan, India. A metaphor for something immense and unstoppable because of institutional or physical inertia; or impending catastrophe that is foreseeable yet virtually unavoidable because of such inertia. A kind of fibre used to make thread, sack etc. A very popular tropical fruit found in summer season. Dravidian Language, spelling influenced by English ‘goose’. The highest state of peace and enlightenment when individual desires and sufferings go away. A kind of spice plant like mint. A beautiful bird known for its dance in the monsoon. A learned scholar or priest. Ancient time/ Hindu religious texts that are part of the Vedas. A kind of India dish made especially for accompaniment of roti. A liquid preparation for washing the hair. Sanskrit, T.S. Eliot made the term entry in his The Waste Land. A landholder of British colonial India for collecting taxes. If you know any other words of Indian origin please don't forget to mention it in the comment box. Share if you really care this article.